Starry Angora Night digital painting by Rebecca Enerson. Rebecca has always felt a close connection to Vincent van Gogh’s artist expression and, in particular, his famous Starry Night painting below. 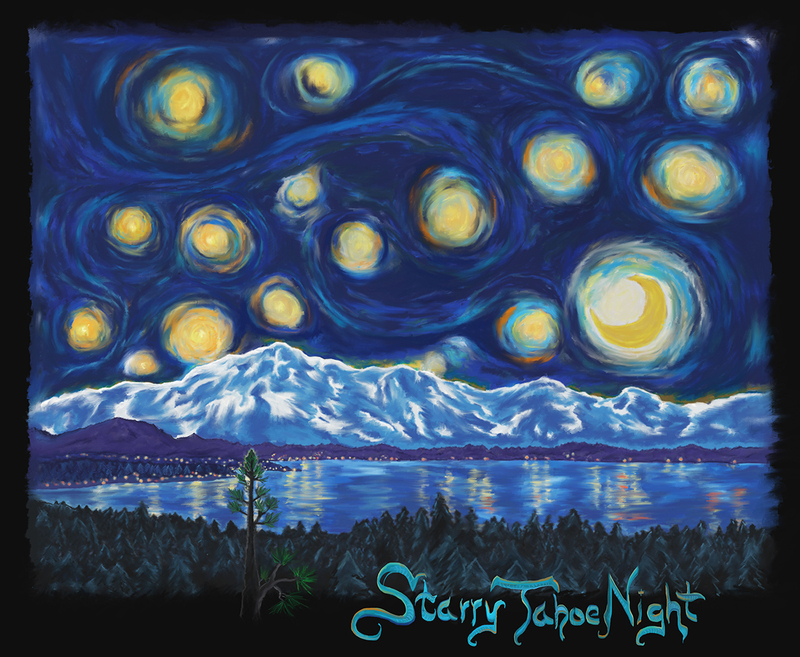 Rebecca is currently producing a series of Starry Nights of Tahoe paintings that capture her own version of mesmerizing stars above selected Tahoe scenes. For the 2008 Tahoe: Lost & Found Art Auction, Rebecca created Starry Angora Night. If you look closely you might be able to see the Angora Fire Lookout in the upper left corner. Rebecca included an inscription that reads: “What the fire lost Heaven has found. Angora Fire June 2007”. 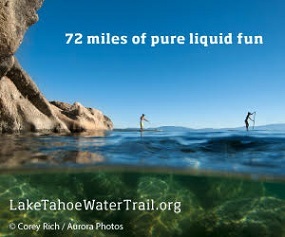 Rebecca lives in South Lake Tahoe and has been a graphics artist for the past seven years. She specializes in digital graphics and photography, faux paintings and murals. 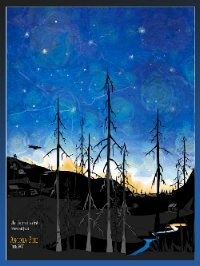 Several of her digital art pieces have been used by local newspapers and she has several contests including the 2008 South Lake Tahoe Soroptimist Wine Poster. When Rebecca is not creating large scale faux murals or digital art, she can be found camping and exploring the Tahoe back-country.